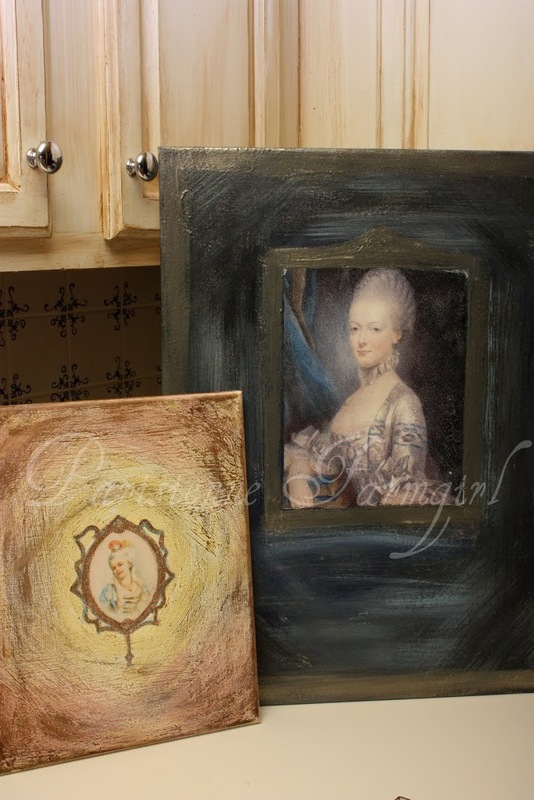 Two of the three stretched canvas Marie Antoinette creations. I don’t know how I will part with the big one! 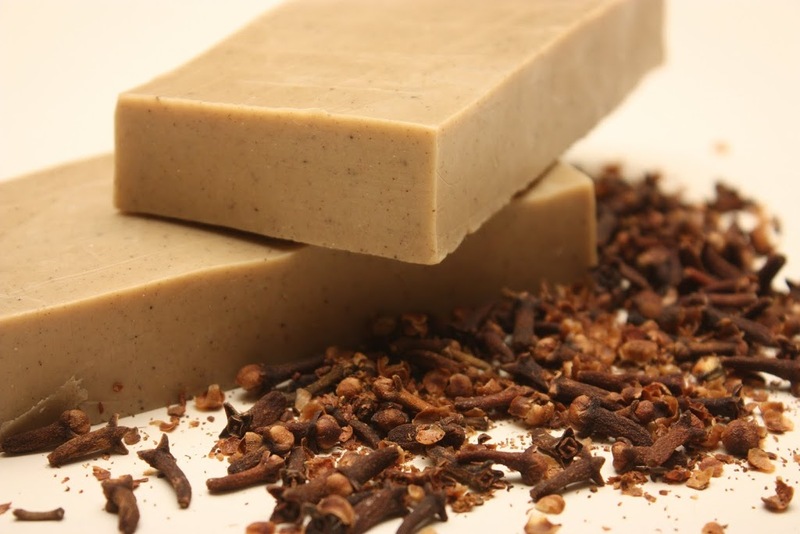 And in the “Bain par Main” department tomorrow I will be adding Shea Butter with Organic Clove Oil to the soap inventory. Oh my, very Christmasy. I also made Lemongrass Sugar Scrub (Oh my goodness!) and Brown Sugar scrub with Almond Oil, Clove Oil, Vanilla and…teeny, tiny gold glitter. I could hardly sleep last night the idea steam was pouring from my ears. For all you lovely ladies who ordered soap in the last week, it shipped today. I wanted to make a new batch of the bar that everyone ordered. It came out perfect and will be worth your wait. BTW – If I have not mentioned it in awhile, for someone who’s brian never quits, this blog is such a special outlet for me and you lovely ladies who read & comment … well, it may sound silly but it really warms my heart. You made all that? Wow! The Marie Antoinette pictures are so beautiful! The soap looks so luxurious and sounds good enough to eat too! I’m trying to see the wrapper… it looks pretty. Congratulations on your etsy store! I feel the same way as you do about connecting with other creative bloggers. It means so much to me and warms my heart too. The Marie canvases are absolutely beautiful! I love them. You are so talented! I love your Marie pictures… so beautiful. I was cruising around your blog today (while I should be online Christmas shopping) and I read and read your posts on B.O. WOW girl, you are articulate for sure! As the healthcare package gets closer to passing, I am shocked and depressed beyond measure. Just had to share. You have the loveliest bolg. I just love stopping by. And that Marie A. picture is TOO beautiful. I love “idea steam”!! It’s unfortunate that we can’t bottle it up and save it for the dry spells. lol! I’m off to get some inspiration from a few more posts before I leave. Thanks for a beautiful spot to rest this afternoon. 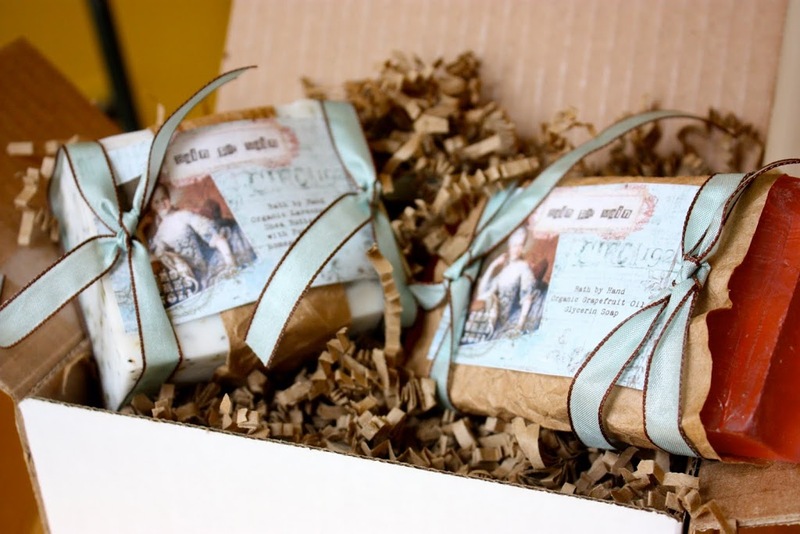 Oh my goodness, I am going straight to your store and see about those soaps and the way they are wrapped…..delicious! Your blog is so sweet. I was over at Shellagh’s blog and saw your post, so here I am. I am going to follow you so I can see what’s happening. Come see me too, I’d love to have you. I love the pictures!!! The soaps look too pretty to use. It’s been too long since I’ve been by and I feel like I missed so much! Congratulations on opening the store. Still waiting for you to write that decorating book!